Click on the link below to download our menu. Featuring a comprehensive range of Imported top quality Black Angus Beef from the USA Wagyu Beef from Australia and top notch NZ Waikato Beef. Fresh seafood is always on offer, like Atlantic Salmon, a selection of Oysters from around the world and fresh catch of the day. 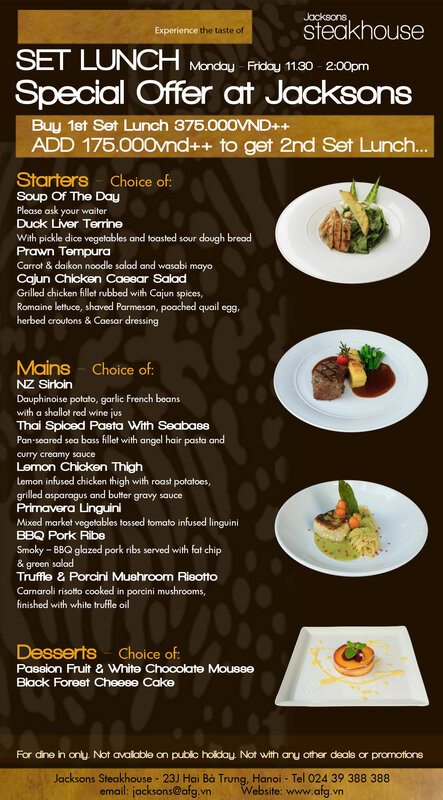 The Chef's selections rounds of the menu with an array of perfectly prepared dishes that will tempt your palate. We offer you a Jacksons experience...where you can savour amazing food and wine that has travelled 48,000 miles, from 16 different countries, saving you $15,000 ...just for you.